As CEO of New College, I managed the refurbishment of the institution’s original residential facility built in the 1960s for 216 residents. It had been unrenovated for 35 years. I led the master plan development, and the project development proposal for board and University approval. I also served as the client representative for design meetings, project control group meetings and briefings as well directing the work of the College Development Committee. The first, second and third stages of the project were completed without a single day of lost residential revenue and with 100% occupancy throughout and within the budget of approximately $10 million. Stage 1 involved the addition of an extra floor and expansion of the building’s capacity to 247 residents, addition of an elevator, refurbishment of all bathrooms, additional disabled access and rooms, and refurbishment of all administration areas. Stage 2 involved addition of a unique Café integrated with traditional food service to increase variety and enable 15-hour access for residents. The addition of new IT support, new recreational spaces, and new College entrances. Stage 3 involved the creation of a new atrium level, games room, lounge, WiFi throughout the building, shared resident kitchen, five quality casual flats for visiting fellows, and a complete strip and refit of all 216 original bedrooms. accordance with the mission to other campuses. 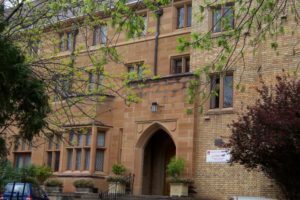 I led negotiations with the University of NSW to acquire additional land on the campus for a unique postgraduate residence. 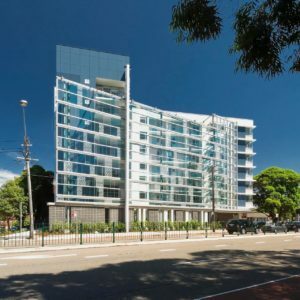 Eventually, approval was gained from the University Council chaired by David Gonski for a prime site on Anzac Parade with a 50-year lease at peppercorn rental. After extensive research overseas, I developed a design brief and budget in collaboration with the New College Development Committee. I then led the process to obtain finance for this innovative project. In addition, I acted as client representative for all aspects of construction. The project was concluded in 2009 on time and on budget and opened that year with 100% occupancy! In spite of the GFC we have been able to sustain 100% occupancy for the last eight years. 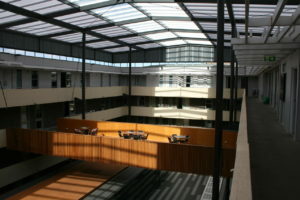 I lived within the building in 2009 and acted as the Dean of Residents as well as company CEO. The community is now seen as a benchmark for quality in design and community support. It is still the only residence of its kind in Australia that combines the independence of apartment and studio living with extensive academic support and pastoral care. It has attracted numerous visits from developers, other colleges and universities (including overseas universities), architects and builders. It is home for 315 postgraduate, honours and upper year undergraduates drawn from over 40 nations. As the CEO of Higher Education Solutions, I bring 35-years-experience in varied leadership roles within universities. For 15 years as Master & CEO of a major university college I advised university administrators, vice chancellors and college heads. This has taken many forms. 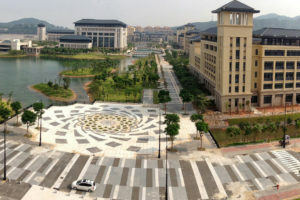 "As the University of Macau moved from a commuting university to a fully residential collegiate one, the advice of Prof Cairney has been highly beneficial. We visited New College to examine organizational structure, accommodation, community building, & student experience. He played a key role in a major conference on the residential college, as speaker & adviser. It was attended by representatives from 50 universities in China, Taiwan, Hong Kong, Singapore & Macau." Project completion - I also have extensive experience in residential development projects at all stages, including: concept development, master planning, development applications, development approvals, financial planning and approvals, project monitoring and completion, representation on project control groups, negotiating rectification of building defects and warranties, refinancing and project oversight. Establishment of new facilities – I have had responsibility for all aspects of fitout, establishment, systems set-up, internal policy development, community establishment and staffing. Development of Institutional Culture – Residential facilities require the CEO to take a key leadership role in relation to institutional culture. This includes management of the facility and staff culture as well as residential community culture. I bring experience as one with responsibility for this role in two colleges. I have also had board experience at other similar institutions. As a fellow leader in the tertiary sector, I’m delighted to recommend Trevor Cairney. I’ve benefited greatly from his wise advice, most recently in relation to our major building project but also in such key areas as student and community development and management.